These are definitely Mama's Must Haves! 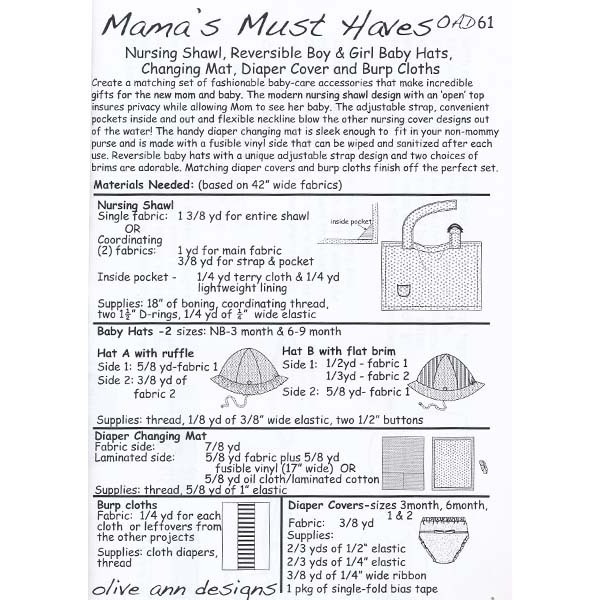 Includes six patterns: nursing shawl with pocket, 2 styles of baby hats, diaper changing mat, burp cloth, and diaper covers in 4 sizes. The nursing shawl is a new trend that allows baby to nurse without compromising Mom's coverage! This style has a boned front so Mom can easily see baby. A must have for any new mom!